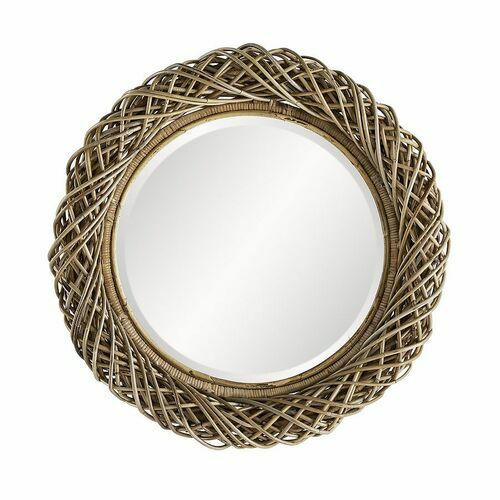 The Pacific Mirror was inspired by the exotic material used to make it: Kubu rattan. Weavers use this Southeast Asian cane because of its incredible malleability and durability, exhibited in this mirrors frame through an intricately woven series of layers. Before hand-weaving the structure, the rattan is immersed for several weeks in a dye that uses only local leaves, achieving the natural gray finish. The round mirror is trimmed in a bevel for an added sense of elegance.